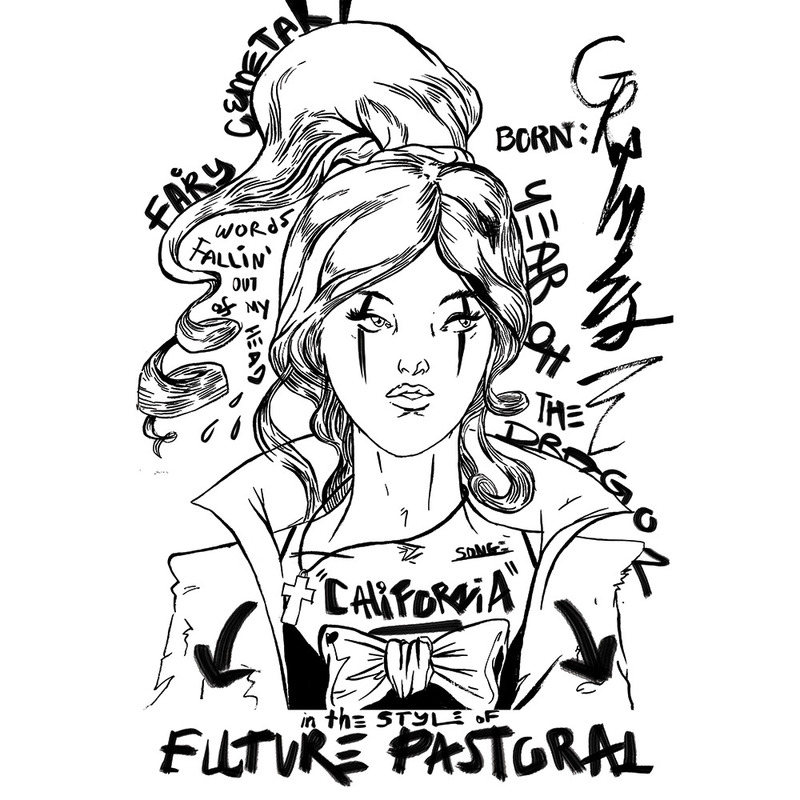 Having just driven almost the entirety of the state in the last five days, we’ve had Grimes‘ captivating California in our ears and minds. The multi-talented Grimes has written one of the most infectious songs of the year in California. Whether it be a kiss-off of Pitchfork (amen!) or other music blogs (fo’ shame! ), the song’s (Dolly) Parton-esque vocals over Swiftian pop/country and Rhianna samples is as catchy as chlamydia, and we can’t stop listening to it. Check it out below (lyrics at bottom). Afterwards, check out the equally catchy Flesh without Blood. Both songs are off of Grimes’ universally-acclaimed new album Art Angels, which is on 4AD and is out now digitally but which will be released in full on December 11th. Here in the land of level-headed EL VY acolytes, and contrary to a couple of cranky critics (Pitchfork you are ridiculously callow and shrill*), we hold firm to the belief that EL VY’s album, Return to the Moon, is one of the Best Albums of 2015. In EL VY, Matt Berninger and Brent Knopf provide each other the perfect foil with which to make great indie-rock-pop music. Today one of the best and most affecting songs from that album, No Time to Crank the Sun, received its official video release. Check it out below with its time-lapse video depicting the group’s exhausting efforts to get the word (in song) out. You may have missed their North American tour, but catch them if you can in Europe (dates/tix HERE) starting next week, and pick up Return to the Moon. *unless, with your 4.8 score, you were damning-with-faint-praise to creatively address Matt Berninger’s I’m the Man lament “I score an 8.6 on a f@#king par 4.” But we do over-credit p4k. Though we were ecstatic to have caught Robbie Fulks in Santa Barbara last month, as a result we were chagrined to have missed the great Dave Rawlings Machine the same night at the Lobero Theater when DRM rolled through town in support of its superb new album Nashville Obsolete. 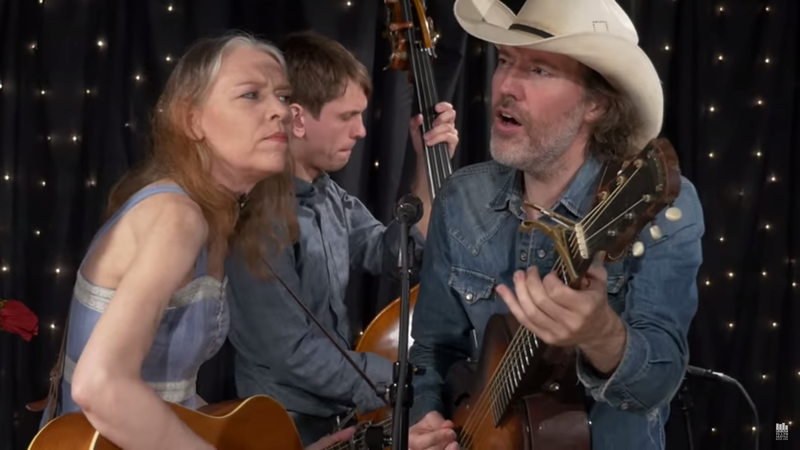 We took some solace that we had caught Gillian Welch and Rawlings two weeks before at the same venue when they gave one of the Best Concerts of 2015. We now have further consolation thanks to KEXP’s release of the video of DRM’s set in their studios. Watch below as Rawlings, Welch, Willie Watson, Paul Kowert, and Brittany Haas sing and play your heart out. The opening song, Short Haired Woman Blues, manages to mesmerizingly mesh threads of Neil Young, the Stones’ Wild Horses and House of the Rising Son into an instant classic. 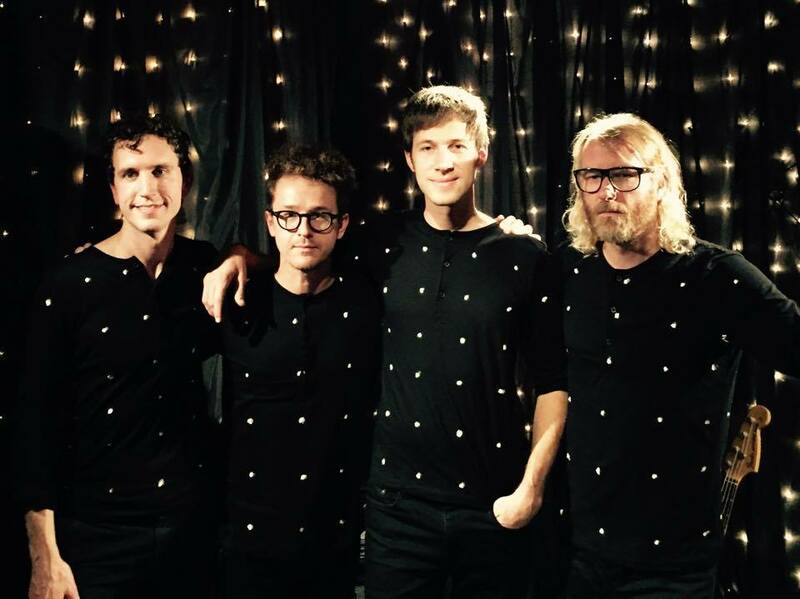 They also performed The Last Pharaoh, The Weekend (another favorite off the new album) and Sweet Tooth on KEXP. Check it out below and pick up the great new album. Dave Rawlings Machine continues on tour this month and next, returning to Cali on January 16th at the Ace Hotel. Tour info and tix can be found HERE. Don’t ya miss ’em. Confidantes and cohorts have been murmuring about LA artist Miya Folick while we prattled away ponderous pixels. No more. We’ve had Folick’s debut EP Strange Darling on repeat at Chez Lefort for the last few days and and are heavily enamored by Folick’s artistry. So jump on the burgeoning bandwagon and check out/buy the EP below. Favorites so far are Talking With Strangers (lyrics below) and I Got Drunk, but there’s not a flat song in the six-pack. Folick’s craft and passion are obvious on first listen, as are the affecting coming-of-age lyrics. Word is Folick is a great live performer so if you’re in or around LA on December 3rd, catch her at the Bootleg Theater or, on December 17th, at The Satellite. Stay tuned for more Folick-les. how did I miss this lesson when I was young? As we have written before, The Silver Lake Chorus performs arrangements of indie-pop songs. 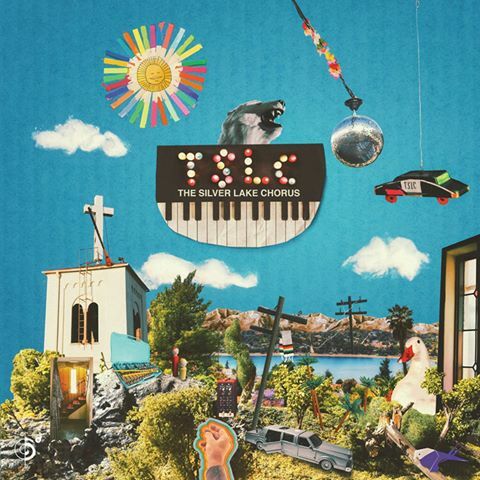 For their eponymously-titled debut album, Justin Vernon (Bon Iver) gave TSLC his pastoral song From the Snow-Tipped Hills, and they did it perfect justice. Now the group has released the official video for the song, featuring drone video (directed by bass vocalist Charlie Maas) above their home-base of Silver Lake. Check it out below. Tomorrow’s another day; go pick up The Silver Lake Chorus debut album HERE. We caught EL VY at the tiny Troubadour a couple weeks ago in support of their album Return to the Moon (sure to be one of our Best Albums of 2015), and the show was one of the (many) highlights of the fall concert constellation. Brent Knopf particularly impressed with his ambidextrous instrumental plate-spinning, along with the project’s fantastic rhythm section (drummer Andy Stack from Wye Oak and bassist Matt Sheehy from Lost Lander), special backup singers and, of course, The National’s Matt Berninger out front and doing what he does best. Their sad-cap medley of Sad Case/Happiness, Missouri was a particular highlight and by itself made the night memorable at the Troubadour. To get a feel watch the comparatively staid, but compelling KEXP studio performance below followed by a more-animated, get-your-Ian-Curtis-on live version at the Bowery Ballroom in NYC. Catch ’em if you can. We’re still in love with Redondo Beach. The Patti Smith song that is. We’re also huge fans of Courtney Barnett, who performed the song recently in Melbourne at a concert commemorating Smith’s Horses’ album’s 40th anniversary. Watch below as Barnett goes guitar-less and gives a simmering, synth-infused take on the song. High art. Check it out, and then watch Smith perform the song a few years back. Brava! We’re still reeling from the heinous murder of innocent people across the planet, but especially in Paris (nous sommes Lefort!). Words cannot express. But music can. 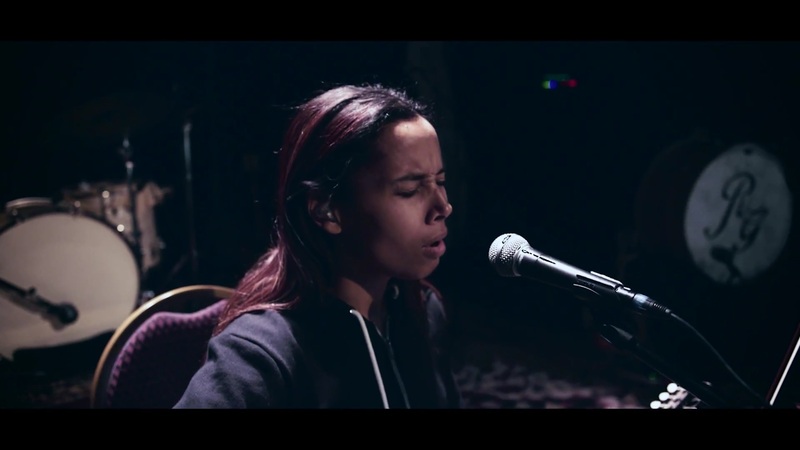 And Rhiannon Giddens (Carolina Chocolate Drops) today released her homage to to Paris (and other sites) via her heart-rending cover of Edith Piaf’s seminal La Vie En Rose. Watch Giddens tremulous and affecting take below. Exactement. Excuse us while we throw on the roses. 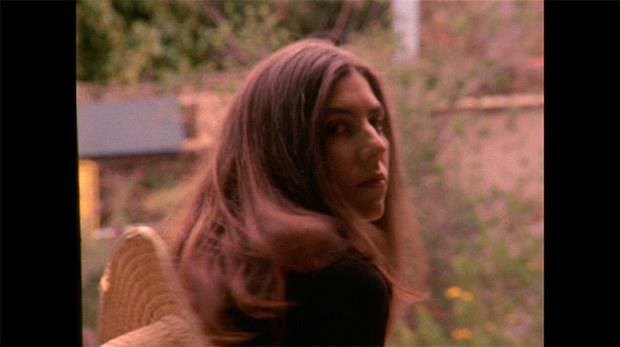 As we’ve mentioned repeatedly, the multi-talented, smarty-pants artist Julia Holter has released an outstanding, critically-acclaimed new album entitled Have You In My Wilderness on Domino Recording. The new album is Holter’s most accessible and is filled with lobe-invasion melodies and lyrical mises-en-scenes. Today Holter has released the official video for the beguiling song, Silhouette, off the new album. Check it out below, followed by Holter and her gifted band members’ live rendering on KEXP. Holter told The Guardian that the song was “inspired by a story about two sisters obsessively waiting for their lover – the same lover – to return.” Scratching our heads about that given the song’s lyrics (below), but we love the evocative song. Holter is currently out on tour and you can check out the dates HERE. And do yourselves a favor and pick up Have You In My Wilderness HERE. 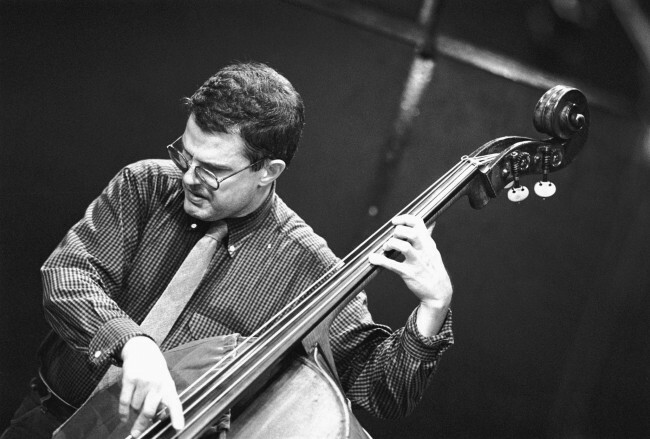 In addition to the new Thundercat homage we posted earlier today, we took solace this weekend (and always) in one of the greatest songs ever written: the late jazz-composer Charlie Haden’s First Song. The song has been covered ad infinitum, but our favorite remains his Quartet West recording with the nonpareil Ernie Watts, Alan Broadbent, and Larance Marable. While it may have been written for Haden’s wife, in First Song we hear a relatively simple, but haunting melody, that moves through many moods. In the aftermath of Paris, for us it moves from heavyhearted torment, to anger, to soulful wonderment, and then, peaceful resolve. May you so resolve. Peace be to Paris.